When Caroline and Bill Ross opened River Bend Bistro & Wine Bar in October 2013, it was the culmination of their dream to create a one-of-a-kind place with simple, good food and quality wine. But they knew success wasn’t guaranteed. The Rosses started with used equipment, bought from a closing restaurant. They replaced the stoves piece by piece over the years, built up a new kitchen, and added a wine rack bought from Rick’s Wine and Gourmet. The restaurant’s vision is just as strong, too. 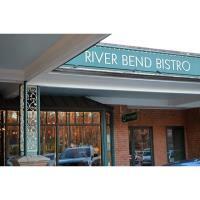 River Bend offers a seasonal menu using local foods, serving the local community. Ross gets her scallops from day boats and her tuna from Ocean City. Beef and pork come from the Shenandoah Farms Coop and Serenity Farms, while goat cheese is sourced from Crozet, Virginia, and she shops three area farmers markets for in-season produce. Ross pairs the food with an outstanding wine international wine list and then welcomes guests to relax in a cozy atmosphere. 2018 has been a strong year for the restaurant, thanks to the support of the community. The Rosses are looking forward to the next five years and beyond, welcoming old friends and making new ones as they continue to serve their neighborhood with delicious food and good wine.